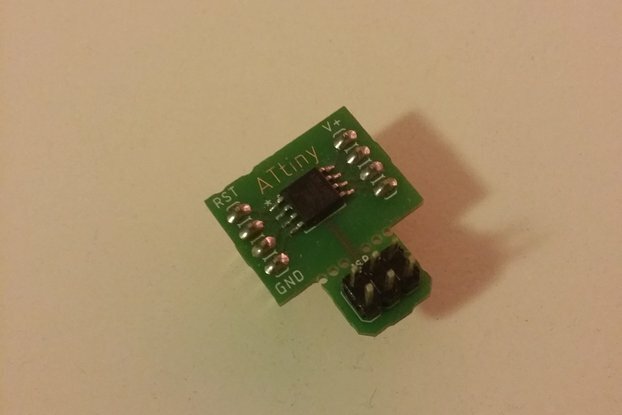 Shield to mount the AMG8833 Thermal-Imaging-Array onto a Wemos-D1-mini. 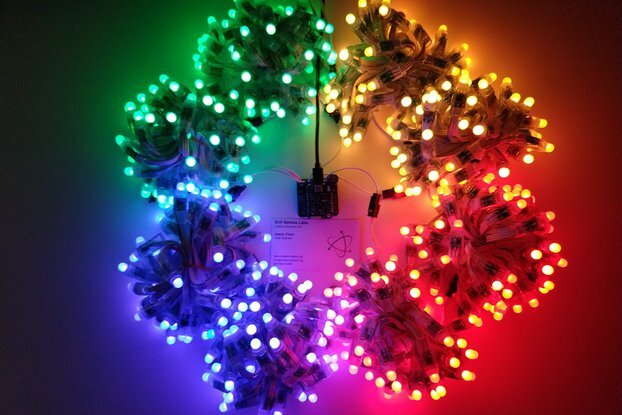 Includes levelshifter for NeoPixel strip. 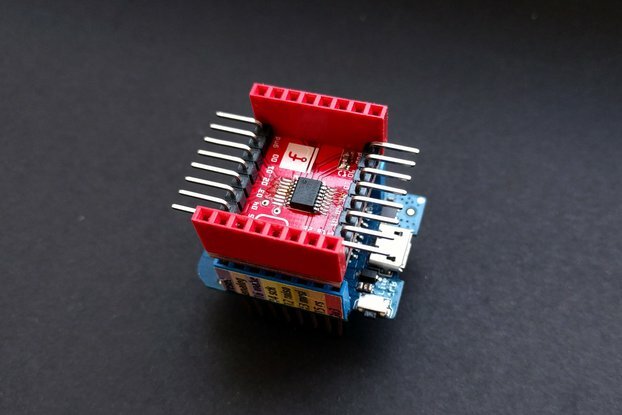 This is a Wemos-D1-mini shield. Its main purpose is to provide an easy way to interface the AMG8833 8x8 thermal camera. 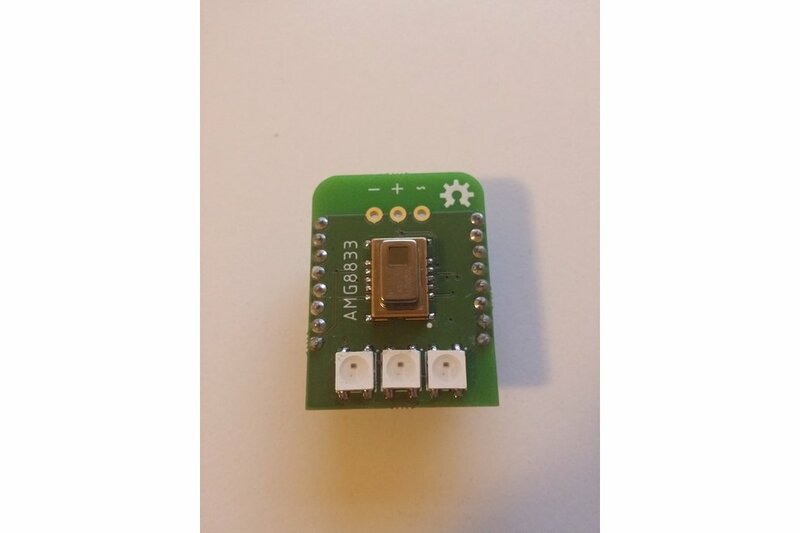 It directly connects the I2C bus to the ESP8266. 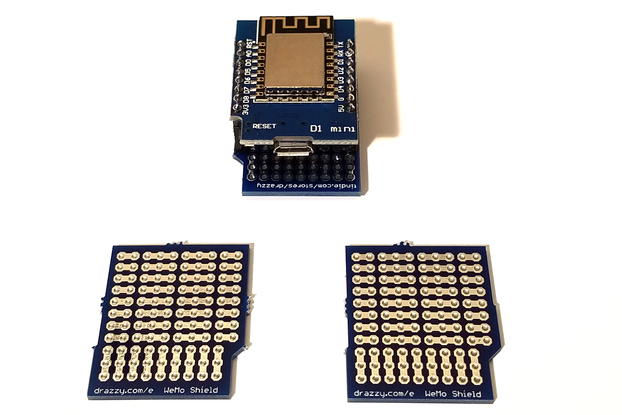 The ESP8266 has a 3.3V IO level, which makes it not ideal to interface with NeoPixel (WS281X) RGB-Leds. For this reason I included a levelshifter to 5V on the board, as well as 3 WS2812 Leds and a 3-Pin screw terminal for 5V, GND, Signal to directly connect LED strips. 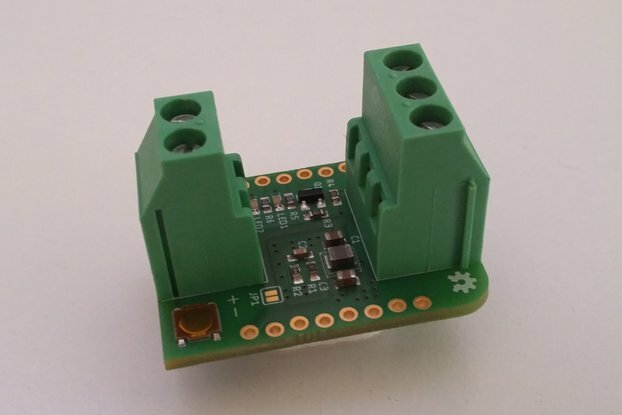 (since it's rather expensive i did only buy the one i needed myself) Soldering the sensor to the board is not as difficult, you don't need a special soldering iron or reflow oven. 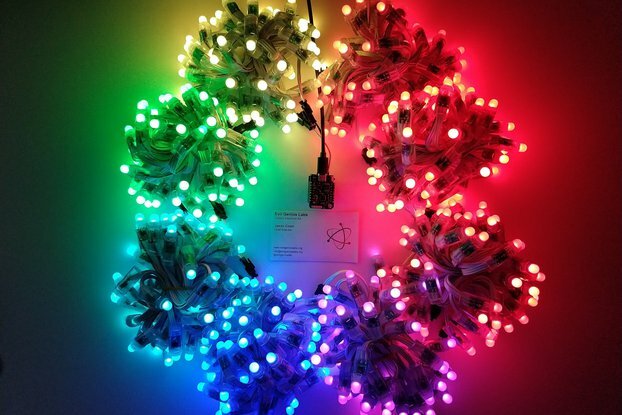 In series with the externally connected Led strip: Leave all jumpers as they are. If you have any questions regarding product options or shipping, don't hesitate to message me via the "Ask a question" button!